What Are Your Acne Breakouts Really Telling You? Happy Father’s Day to all of the dad’s out there. I’m sure my ladies took good care of their men today and provided them with a restful day. Today is Self-Improvement Sunday and now that dinner is over (or at least for me it is) and you may be taking some time for yourself, I wanted to share a common issue that mostly all of us have experienced a few times in our lives. ACNE!! Yes the ugly word that brings us grief whenever it decides to show up unannounced on our wedding day, prom, family photo day, etc. The truth really is that acne is unwanted at all times no matter what the occasion. But did you know that acne has an underlying language? That depending on where your breakouts take place, it could be your body’s way of letting us know there may be some underlying issues we are not aware of? Let’s take a look at face mapping. 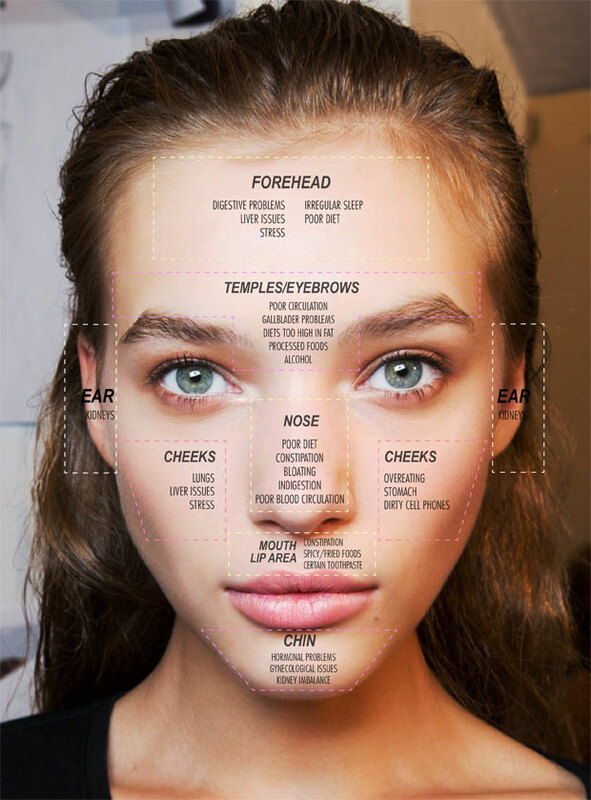 This map will serve as your guide for knowledge not in eliminating the whoas of acne, but to inform you of the triggers. I’ve always been told that acne comes from stress and not drinking enough water or drinking too many sodas. I also thought it was due to not cleansing the skin daily. But now I am learning that some dermatologists use face mapping to diagnose acne problems. This can be done by simply looking at your face and using the map above. According to Dr. Michael Shapiro, medical director and founder of Vanguard Dermatology “Face mapping can be a key to every mysterious problem behind your skin and internal body issues.” So what exactly is face mapping? It’s a popular method used in Chinese medicine that focuses each part of the face and depending on the location of the flare-up, doctors can determine its underlying cause. How important this discovery is to our overlying health…our flare-ups may be a blessing in disguise because it could reveal a more serious health issue. Breakouts in this area could be a sign of digestive problems, intestinal, and liver issues. To stop acne from forming in this area you need to make sure you get enough sleep (at least 7 hours nightly), drink plenty of water (should be half your weight in water), watch what you put in your mouth because some food may spark a breakout. This can mean poor circulation, gallbladder problems, or a diet that is too high in fat. Eating a lot of processed foods and drinking a lot of alcohol can also contribute to the breakout. The nose breakouts are also from poor diet, constipation, bloating, gastrointestinal imbalances, indigestion or poor blood circulation. Dr. Shapiro suggests taking vitamin B, eating less seasoned foods and massaging the nose are. The cheek zit can be due to the lungs, and liver issues. Also overeating, stress, stomach issues, dirty cell phones and pillow cases, and Ladies: Dirty Makeup Brushes! Can be caused by constipation, and excess of spicy or fried foods and get this; a reaction to toothpaste. Can be caused by hormonal problems, gynecological issues, and too much hands in the face. You can take omega-3s to keep the hormones harmonious. Can be caused by the kidneys not functioning properly. If any of these are you, I hope that you could relate to some of the issues and do what is necessary to reverse the situation because lets face it…we all want healthy glowing skin. TGIF!! I have been so busy today running errands in the sweltering heat so I do apologize for the late post for Frugal Friday. I guess better late than never plus you can always do this recipe tomorrow. So I love Chick-Fil-a and my family eats there at least once a week but that can be costly for a family of four. 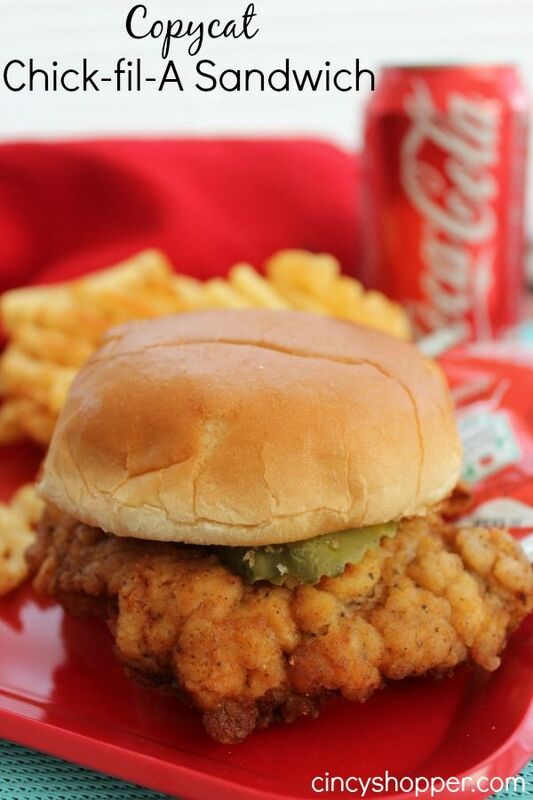 I found this recipe for the Chick-fil-a sandwich and it is definitely a great dupe for the real deal and dollars less. Thank you Cincyshopper!! and I had the great idea. I would organize them! I could separate them according to meals i.e. breakfast, lunch, and dinner. Then I could make sub-categories within each section for sandwiches, salads, etc. So off to Pinterest I went and found a post from Making It In The Mitten. She so graciously provided the organizationally challenged with FREE templates! Score right click here for the templates . 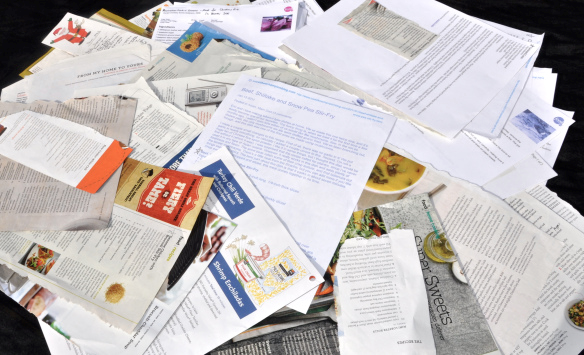 Since I have an abundance of recipes, I am going to start sharing them with you. Today’s recipe is the best. 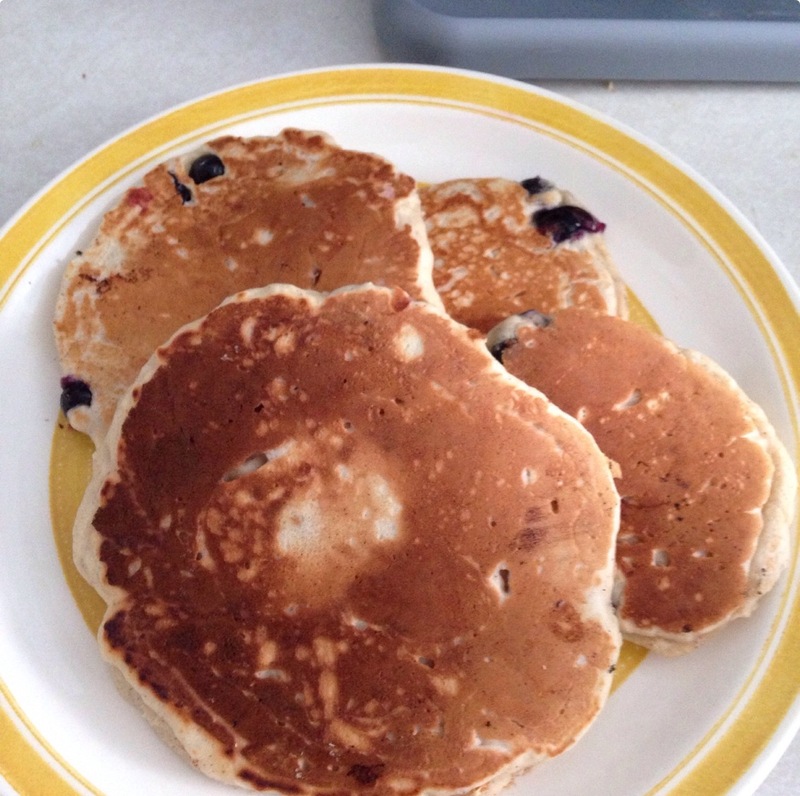 Blueberry and Yogurt Pancakes…anybody else love pancakes. 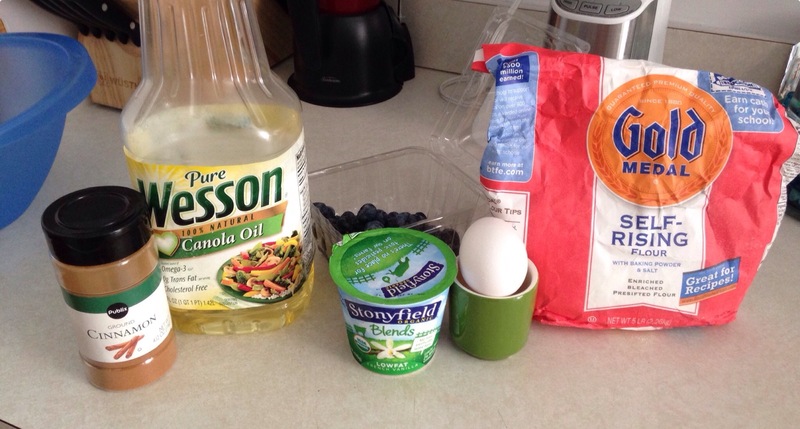 You can really create some unique ideas to prepare them just by mixing up the ingredients. 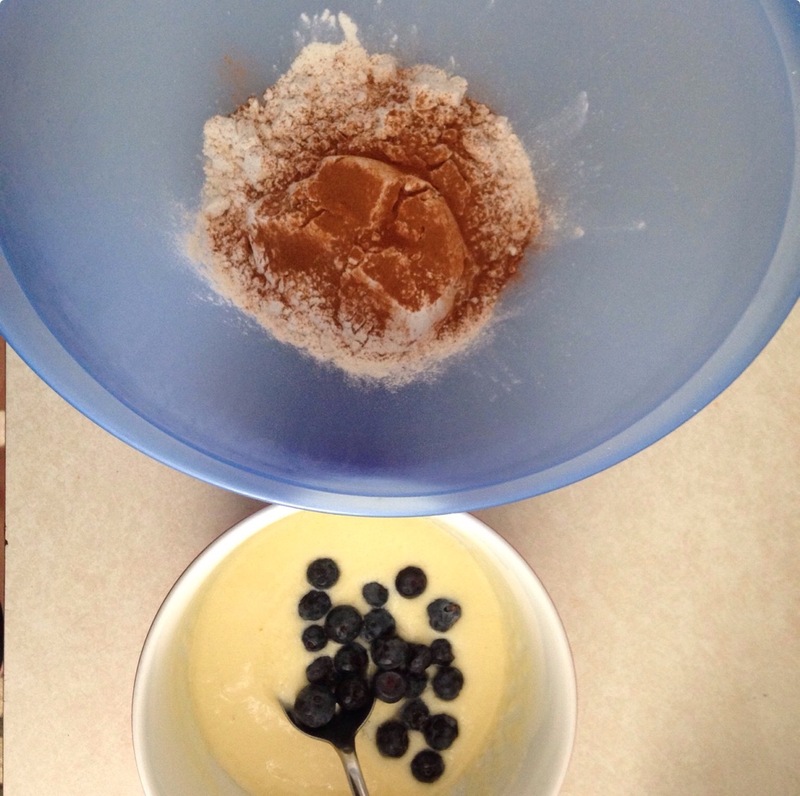 This awesome recipe originally came from a lady named Amanda. That is all the info provided on the recipe. add 1 TBSP of oil to a bowl. 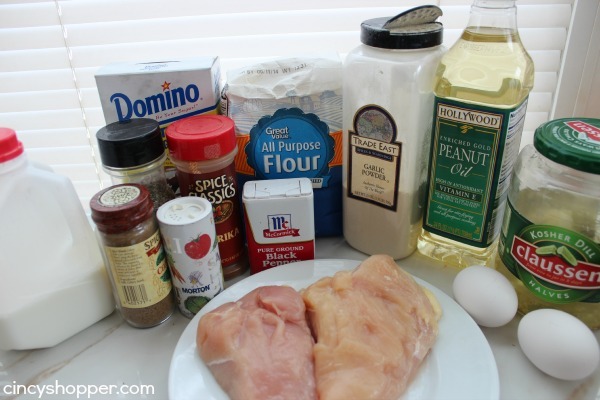 This will be mixed with the other ingredients. 2. 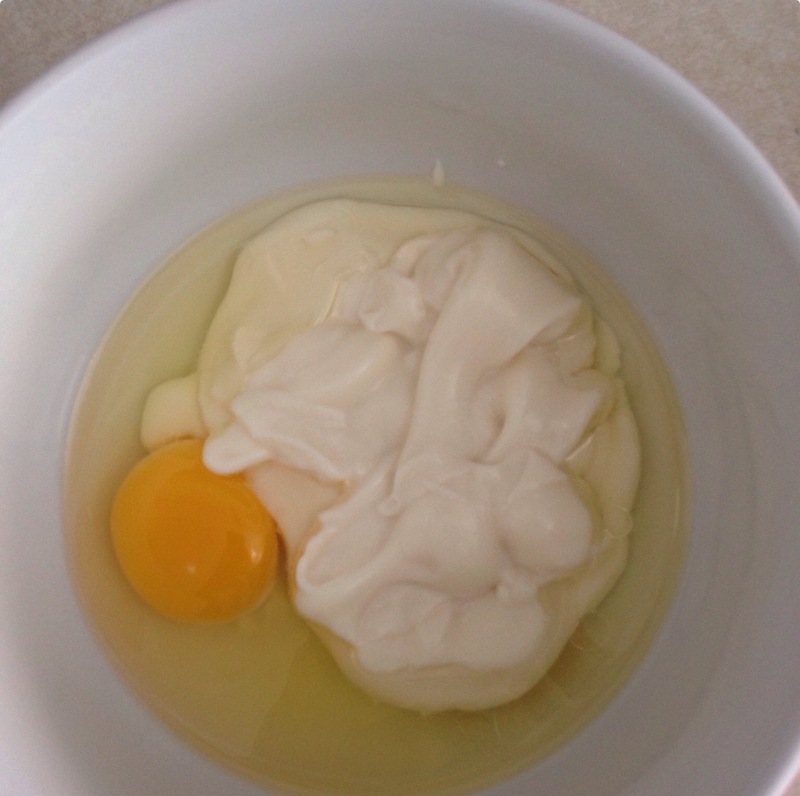 Add the egg to the bowl with the oil and add the entire cup of yogurt. 5. 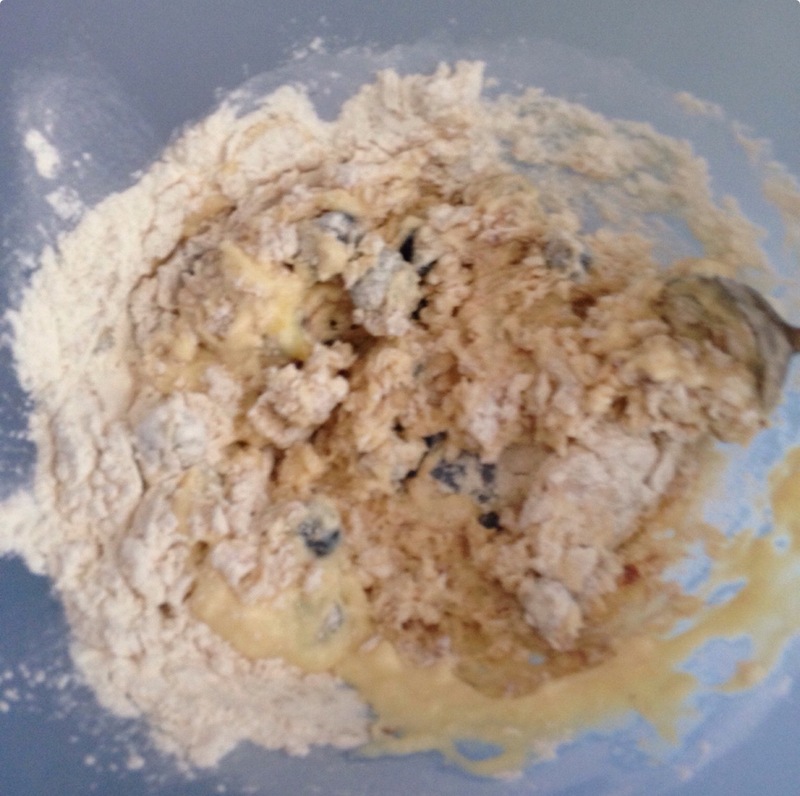 Add the wet mixture to the dry mixture and mix until smooth and free of any clumps. 6. Now you are ready to cook. 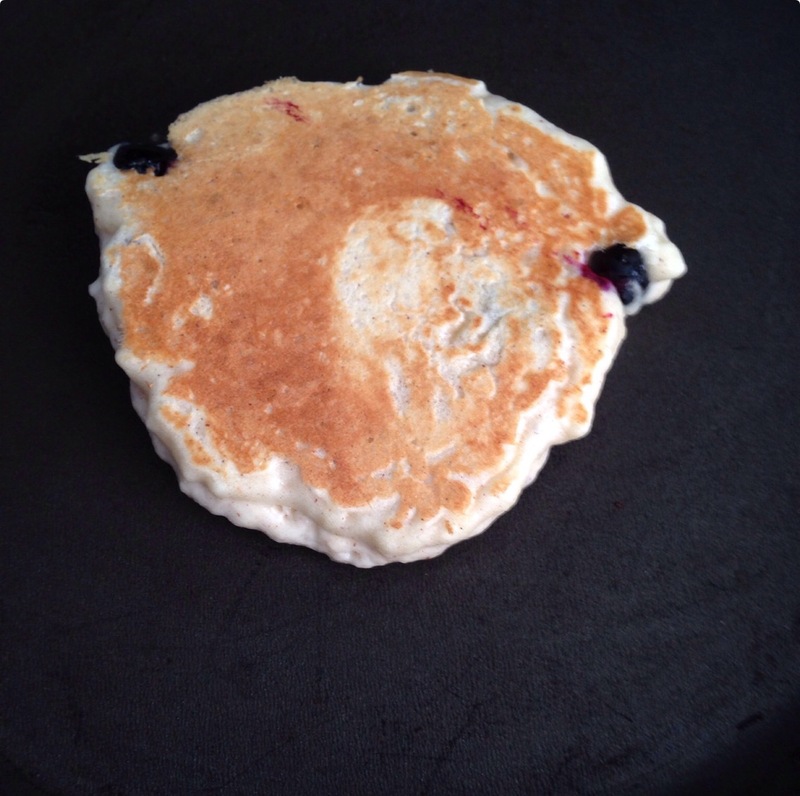 Add oil to the skillet or you can use butter. Just make sure the you grease the entire pan. make sure you put the burner on low setting. 7. 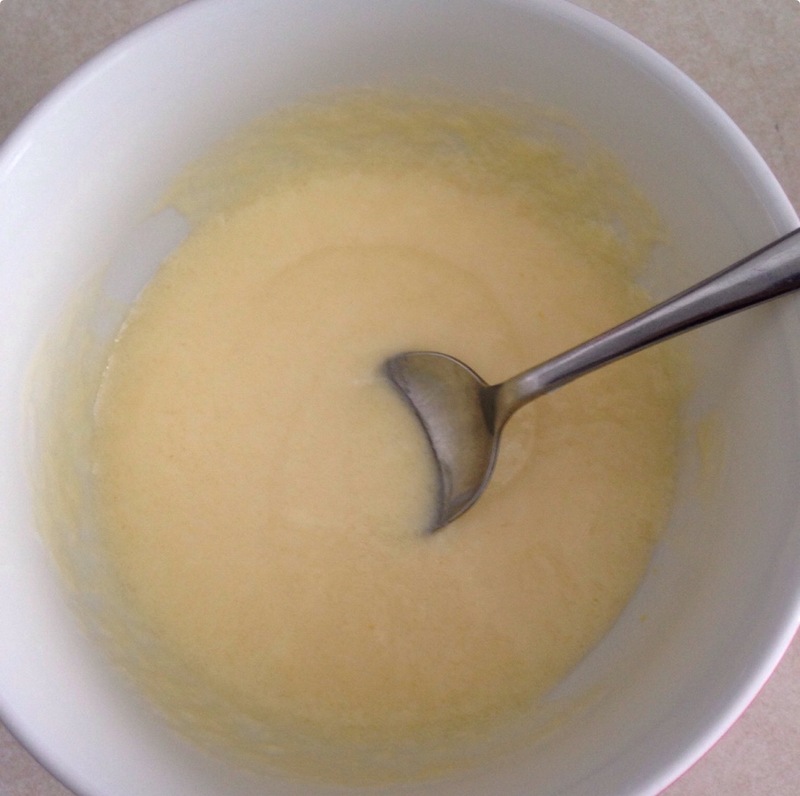 Your thick mixture will seem thicker due to the yogurt and self rising flour. 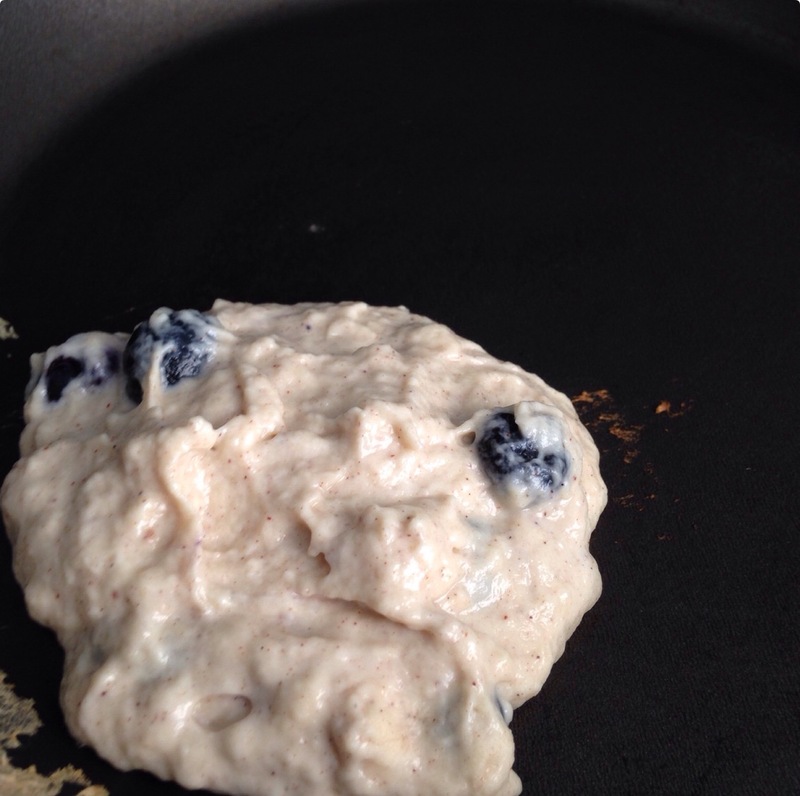 Add a few spoonfuls to the pan. 8. Give the cook time about a minute then flip it over and cook until it looks brown or however you like your cakes. 9. Plate your tasty cakes and enjoy the SAVORY taste with ZERO added sugars. 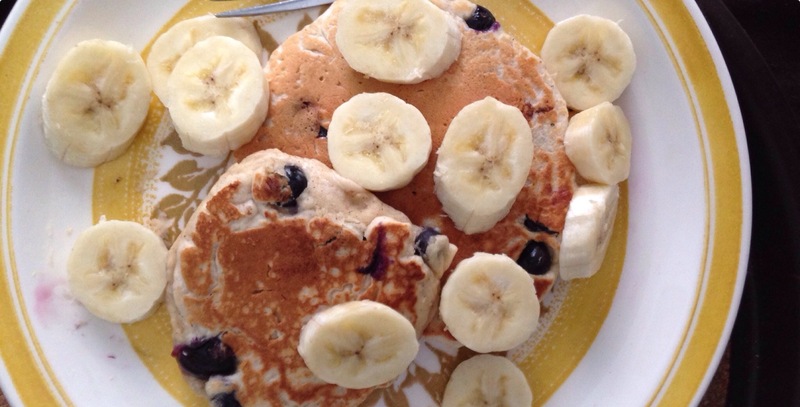 you can add a WOW factor by topping them with sliced bananas instead of syrup.